ASUS recently expanded its Eee PC notebook range by introducing a new AMD-powered netbook, named Asus Eee PC 1201K.The notebook runs on Windows XP Home.The new feature of ASUS Eee PC 1201K Netbook is built in Geode chips and has a Chiclet keyboard. The Asus Eee PC 1201K netbook equips a 12.1-inch LED-backlit display with resolution of 1366×768 pixels and is powered with a 1.4GHz AMD Geode NX 1750 processor with a 25W TDP.The netbook also includes a 1GB of RAM and for storage options includes 160GB/250GB/320GB hard drive. 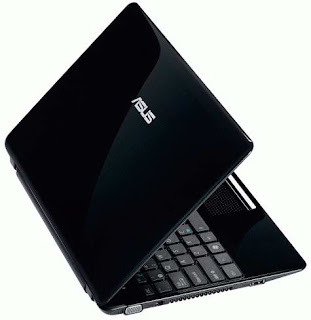 The Asus Geode netbook also houses a 0.3-megapixel webcam and includes card reader, Bluetooth 2.1 and Wi-Fi 802.11b/g/n is an optional availability.The netbook also houses a 6-cell battery that provides about two hours of battery life. 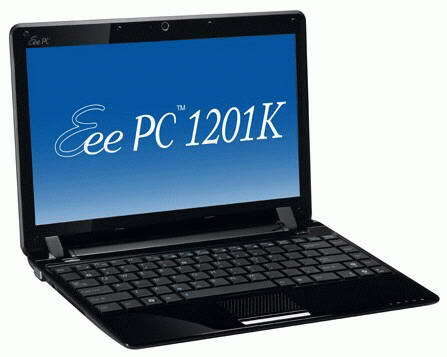 Tags:-12.1-inch netbook, 1201K, ASUS Eee PC 1201K Netbook details, ASUS Eee PC 1201K Netbook features, ASUS Eee PC 1201K Netbook specifications, ASUS Eee PC 1201K Netbook availability, ASUS Eee PC 1201K Netbook specs, AMD Geode chip, ASUS, ASUS 1201K, Asus Eee PC, ASUS Eee PC 1201K, Eee PC 1201K, netbook.